State of the art professional and cost effective port, ship, fleet and asset management services and apps including our industry first cloud based “Instant history playback” capability for Ports, Harbour Authorities, Fleet Managers, Marine Services companies and Shipping Agents. Our customer roster include ABP Southampton, Portsmouth International Port , Bristol Port Company Avonmouth, Nautisk, Transas, James Fisher, SevenCs, Solis Marine , Fleetrange and Port Harcourt in Nigeria. 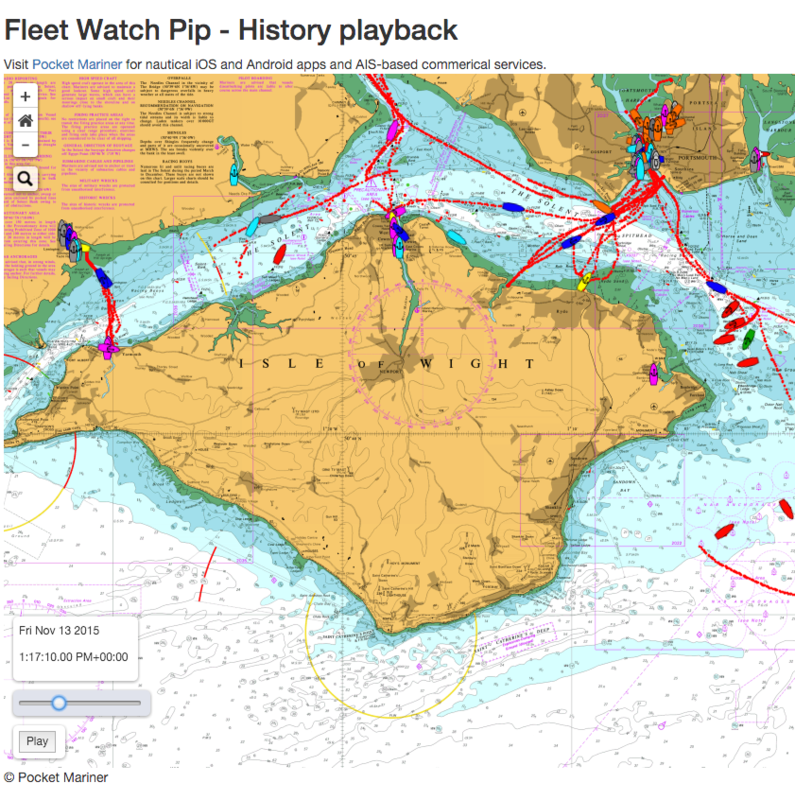 We also provide our AIS Watch service to the RNLI and AVCG on a pro-bono basis which they use for tracking and training purposes. 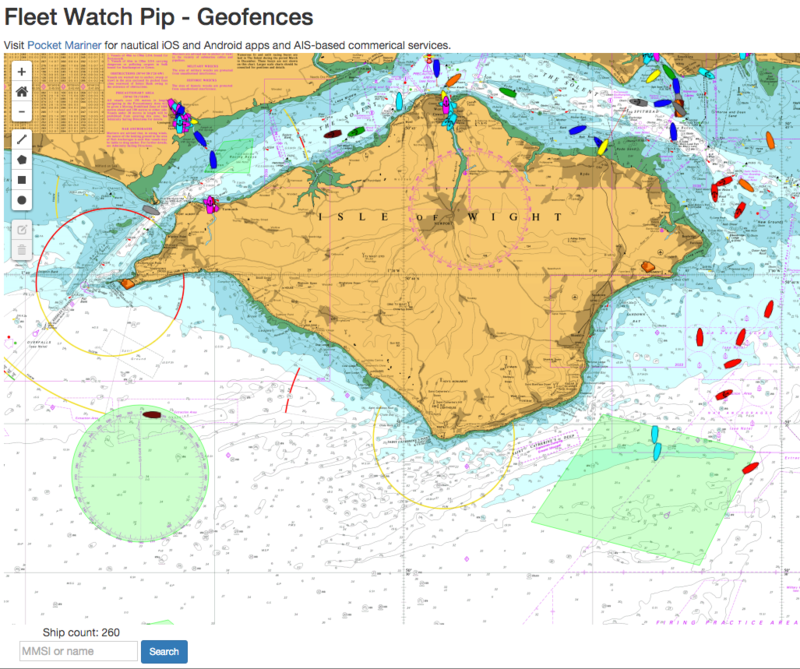 Read more below and please contact us at aiswatch@pocketmariner.com or telephone +44 1291 689202 for more information. 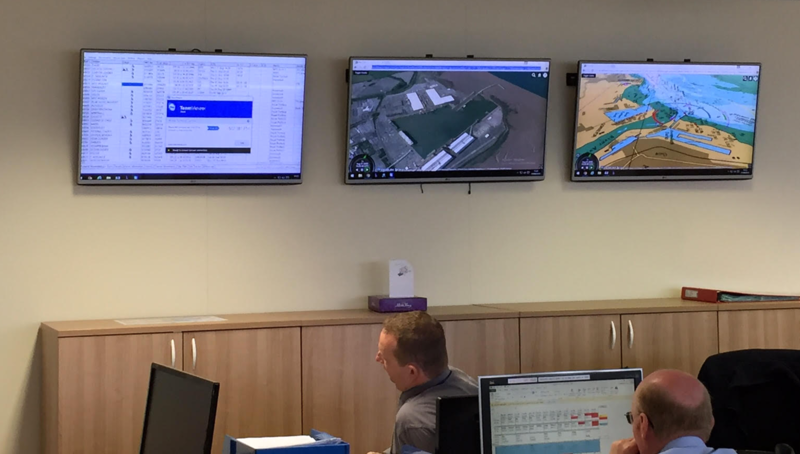 AISWatch in use at Bristol Port Company operations centre. Showing 3D live AIS views. AIS Watch provides real time AIS feeds, instant replay of events, Geofence alerts, historic event information and ship movement for all the Vessels , Stations and Aids To Navigation (AtoN) in your fleet or port, both around port and coastal areas using our network of AIS shore stations to anywhere across the globe using our isAIS system. Motion sensing, remote camera viewing and other sensor monitoring are now also available with our in-expensive AISWatch telemetry services. Playback allows you to replay all shipping movements in your area instantly from any time in the past to assist with event investigation, resource utilisation, market research, training etc. Playback can be run at normal time or faster and supports forward and backward time “Scrubbing” allowing you to view an hours data in seconds to quickly determine the event you are looking for. 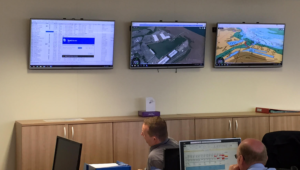 Our live and historical AIS feeds can be also used to power other navigation systems such as those on Portable Pilot Units (PPUs) and other monitoring equipment. 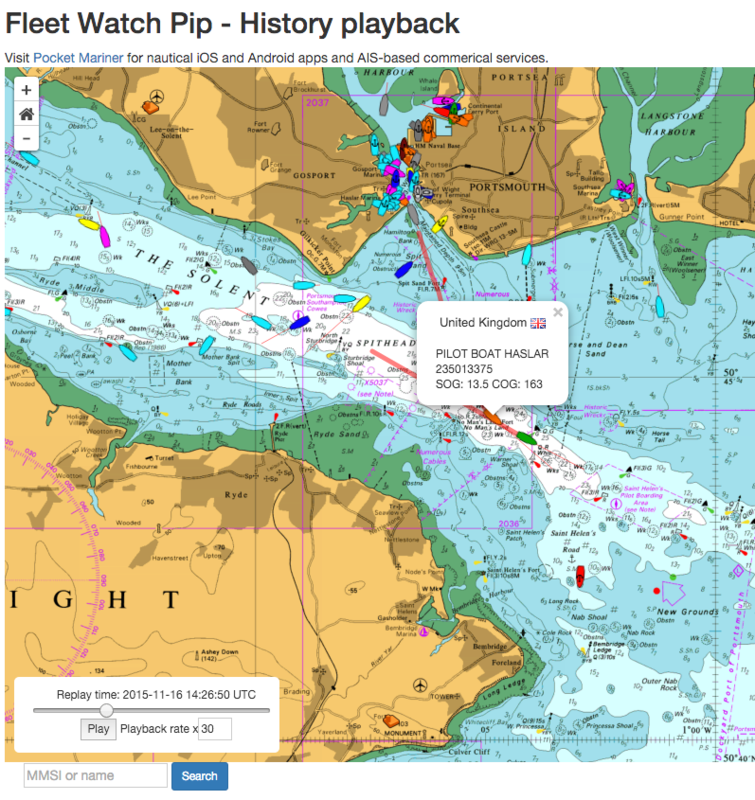 Alerts include area entry, exit and crossing (GeoFences), directional traversal across boundaries and status alerts (arrivals and departures), AtoN Off Position alerts etc..
You can try our history playback service in action here in 2D – http://boatbeaconapp.com/fleetwatchdemo – use the slider at the bottom left to move backwards and forwards in time and press the play button to play forwards. 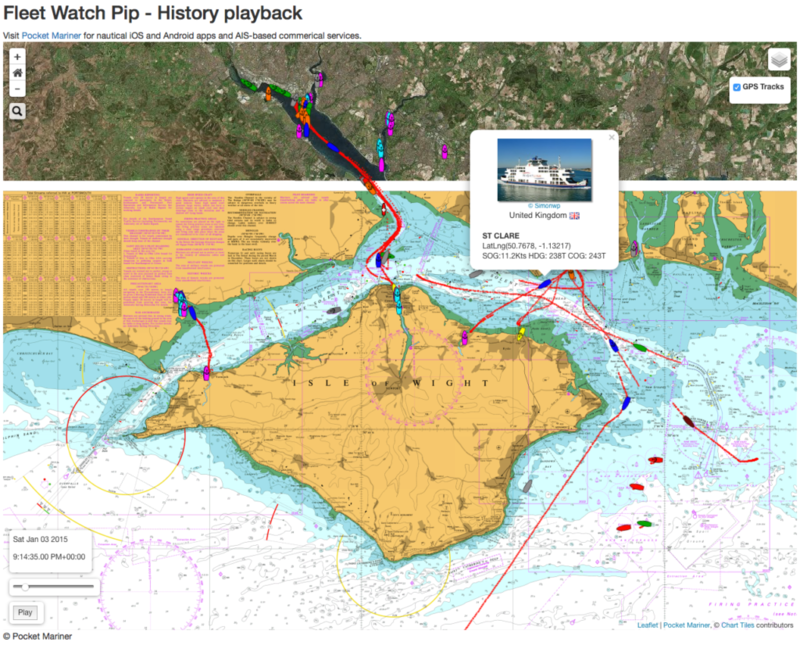 You can also see our 3D playback in action with this replay of the Hoegh Osaka grounding in 2015 – double click on a ship to fly in close up and then use your mouse to change the zoom (scroll) and viewpoint. Ships, alerts and playback are easily configured, managed and viewed using a dedicated and secure AIS Watch web interface. 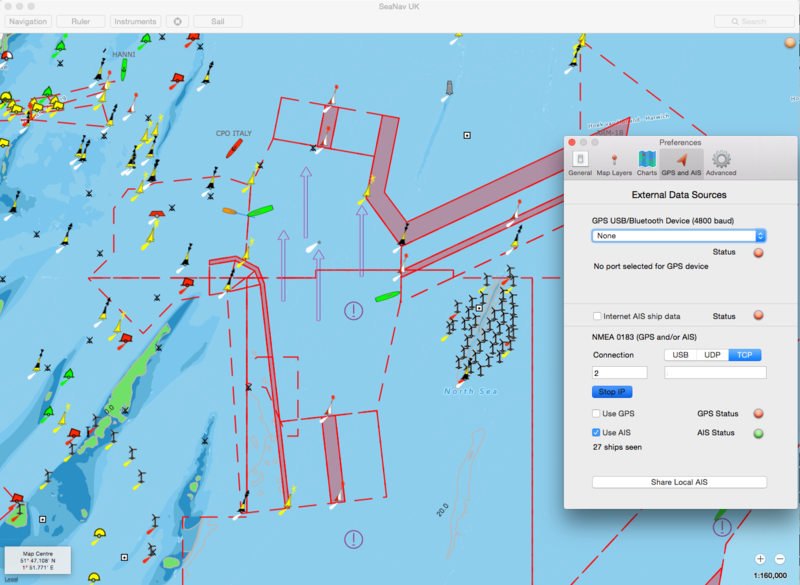 Our real time AIS feeds can also be used to power network aware AIS marine applications and systems such as our own SeaNav AIS Marine Charts and Navigation apps and third party systems like Portable Pilot Units (e.g. Transas’s Pilot Pro and SevenCs Orca G2 pilot. ). Pocket Mariner also provide global real time AIS monitoring and surveillance for ships far out of reach of shore based AIS systems using our innovative Internet over Satellite AIS (iSAIS) service. with 98% global coverage (using Inmarsat services). Here is an example from one of the ships we monitor 75 miles off the coast of Nigeria http://boatbeaconapp.com/station/7002 . More details on the service configuration and use are provided below. If you are interested in learning more please contact us at business@pocketmariner.com or phone +44 1291 689202. AISWatch records all the time stamped AIS data for your port or area of interest second by second. The data is securely stored in our highly available (99.995%) and redundant cloud based computing platform for as long as you want from months to years or forever. You can retrieve ship movements from any day and time in your AISWatch past instantly at the click of a mouse button using a calendar picker and then replay them on our web map view and via dedicated internet ports to other AIS apps like our iOS and Mac SeaNav chart plotter with ENC vector charts and other marine navigation apps like on of our partners SevenCs’ Orca G2 Pilot (PC display with Vector charts). Here is the playback management view. Tap “Live view” near the top left to view and track the current ship positions on a marine chart. 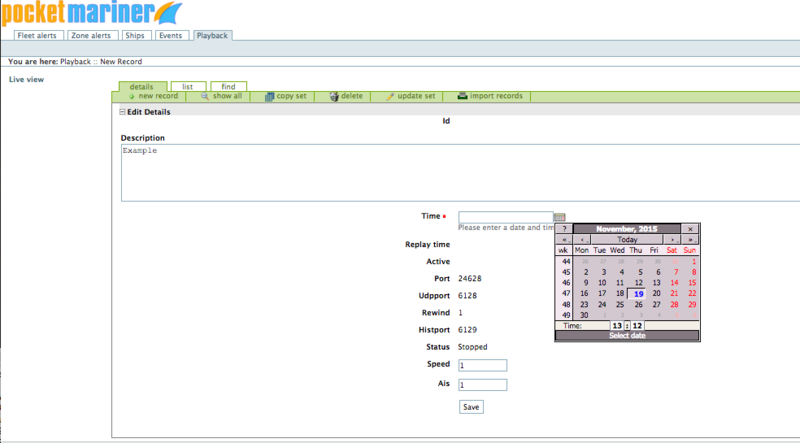 Click on an existing record to view an existing historical playback record. Tap “new record” to create a new history playback record. Enter a description (optional). Select a date and time on the Calendar picker. Leave AIS as 1 (default) to run the AIS replay service. Set it to 0 to use the “Scrubbing” replay service. Tap “View history playback” to go to the Web playback view. You can stop and start the playback and set the playback speed with the controls at the bottom left on the Playback chart view. When the AIS playback is running it also outputs the recorded AIS data stream over a dedicated TCP port so that you can connect other apps and devices to view it. The playback also has our unique enhanced Type 5 AIS messages added so the static data for ships show immediately a ship appears rather than waiting for the static AIS messages to be re-sent (which can take up to 6 minutes to receive). On the fast scrubbing view you can use the slide at the bottom left to scroll back and forth through the whole period. You can also press play to playback from the current scrubbing position. External app (SeaNav) driven from AISWatch Playback using the TCP connection. Output from the playbacks can also be captured to video for viewing again independently of the AISWatch service. We recommend using the excellent and free VLC app on PC’s to capture the video or Apple’s free QuickTime app to record the screen on Macs. 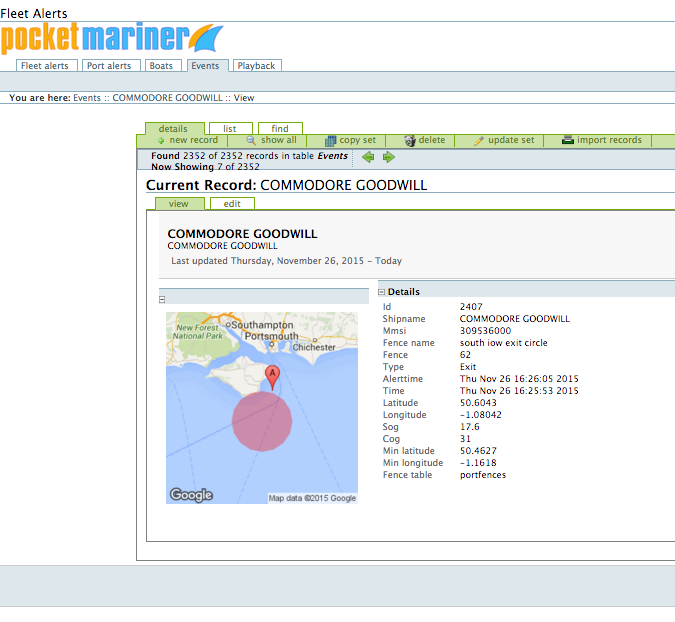 Geofences let you configure alerts for all ships (Zone Alerts) or your specific fleet of ships and AtoN’s (Fleet Alerts). Fleet alerts are not confined to your zone of interest. They can be set anywhere in the world subject to our system having live coverage of the region. Many different alerts are available from entering or leaving an area, crossing a line, arrival and departure (status), anchor watch, proximity, collision, SART, AtoN off position etc. Geofences can also be attached to moving ships and objects. When an alert fires an email is sent to all the alert addresses containing details for the event including a map of what and where triggered the event and a second map showing the ship’s current position. You can create and edit the fences using this management screen or using our interactive map. 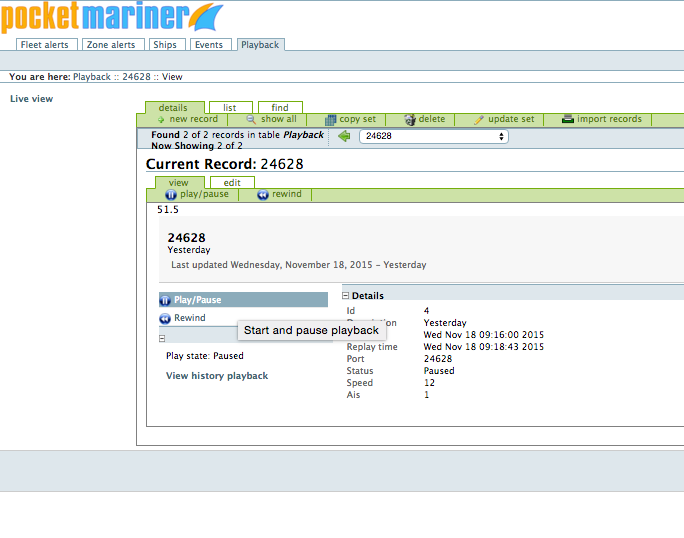 Just click on the view fences button top left on either the Fleet Alerts or Port Alerts screens. Tap View fences near the top left to view you currently configured fences on the chart. You can also edit existing fences by tapping on them and create new fences using the drawing tools. Rectangular, circular and polygon geofences are all supported (see example green fence areas below). In the detail view for an alert you can also see the geofence alert position on a map to help you identify and set it. 3. Setting up a fleet. To set Fleet alerts for ships or AtoN’s you are specifically interested in you need to enter a fleet of ships to monitor. Enter the details including MMSI and IMO (optional) for the ships/AotN’s you want to monitor. 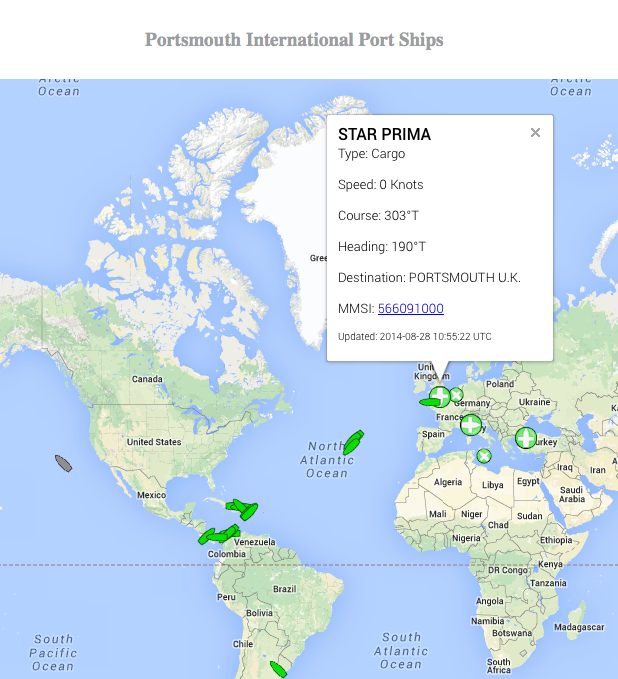 Select a ship to view its recent alerts, current position, photo and last alert. Tap “View all current ship positions” near the top left to view all your fleet’s current positions and status on a map. These are configured in exactly the same way as for Zone alerts but are not restricted to your zone of operation. We have extensive world-wide live AIS coverage amongst the best in the industry. As well as sending alerts to email addresses all Alerts are recorded in the Events table. They are ordered most recent first. You can re-order the list by tapping on the top of each column. You can also search for particular records by tapping the eyeglass symbol on each column. Tap on an event and see a map showing where and when it happened. 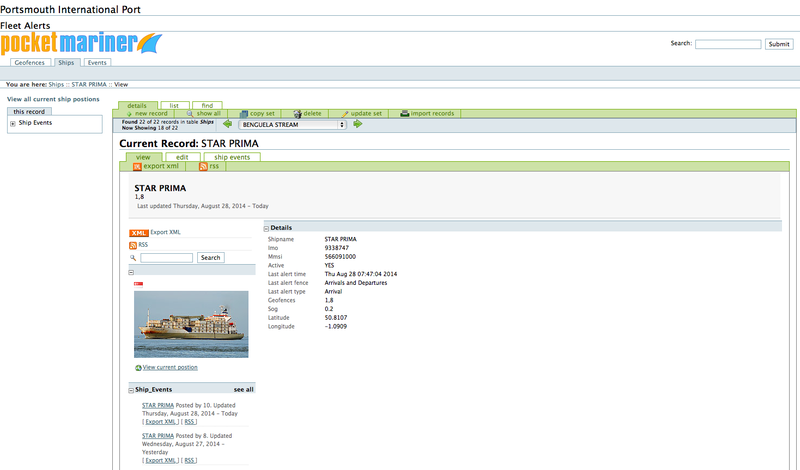 Alternatively you can use the Ships tab to see details on the most recent events for a ship. Tap on an event to see a map of where it fired and the geofence area that it triggered. If you have any questions or for further information please contact us via business@pocketmariner.com or phone +44 1291 689202.